They never had citizenship to begin with, so they can’t lose it. Note the sly suggestion that “married women” should somehow be exempt from the law. Mohammedans do not have a G-d given right to settle wherever they chose in the Dar-ul Harb. Assam, India – Bimala Begum is worried. She is among nearly three million married women in India’s northeastern state of Assam who have been asked to prove their citizenship. “Since I received the notice, I have gone to two neighbours and asked them what to do. I am really worried,” said Begum, 37, showing the two-page government notice in the local Assamese language. The state is currently updating the National Register of Citizens (NRC) – the first time since 1951 – as part of a government campaign to identify undocumented immigrants from neighbouring Bangladesh. The 2.9 million women, most of whom are Muslim, and nearly 4.5 million others are part of about 13 million people who were left out from the first draft NRC published on December 31 last year. The authenticity of documents submitted by more than 7 million people, including 2.9 million married women, are now being verified by authorities to decide whether they are Indian citizens or immigrants. The first list designated about 19 million people as legal citizens out of the total population of 32 million. The country’s Supreme Court (SC), which is supervising the entire process, has set June 30 as the deadline to verify the documents. But activists accuse officials of creating hurdles in the verification process. “Women who used the panchayat certificate are being subjected to harassment,” said Rejaul Karim Sarkar, president, All Assam Minority Students Union (AAMSU). “Though all the communities have to fill up the form for the NRC updating, the verification process has particularly been made very tough for Muslims and Bengali Hindus,” he said. The state’s indigenous communities are exempted from the rigorous documentation process. Sarkar fears a large number of genuine Indian citizens might be dropped from the NRC list, which is slated to be published next month. “If actual foreigners are weeded out, no one will oppose… But if genuine Indian citizen’s names are dropped in such a large number, people will come to the streets and start a movement,” he said. Activists say the NRC is not going to decide on the fate of more than 300,000 people who have either been declared foreigners or have cases pending against them in special courts called as Foreigners Tribunal (FT). Abdul Batin Khandakar, an activist based in the capital, Guwahati, pointed out that their family members will also be excluded from the NRC process. A total of 245,057 cases are pending in FTs, while 90,206 people have been declared foreigners, according to government data. “An amendment to the Citizenship Act in 2003 said that for a person born in India both the parents must be legal Indian citizens,” Khandakar, executive president of the Brahmaputra Valley Civil Society, said. Activists and experts fear that tens of thousands who do not find their names in the NRC list will be thrown in detention centres and may be rendered stateless – similar to the Rohingya people in Myanmar. “We want the process to be judicious and as per guidelines. There is every likelihood of the creation of new humanitarian crisis in this part of India,” Khandakar said. 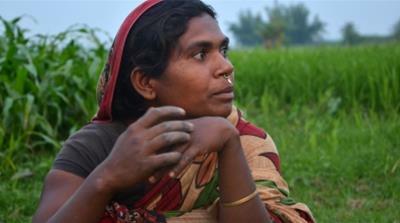 Like most people in riverine areas, Begum is a farmer and never went to school. 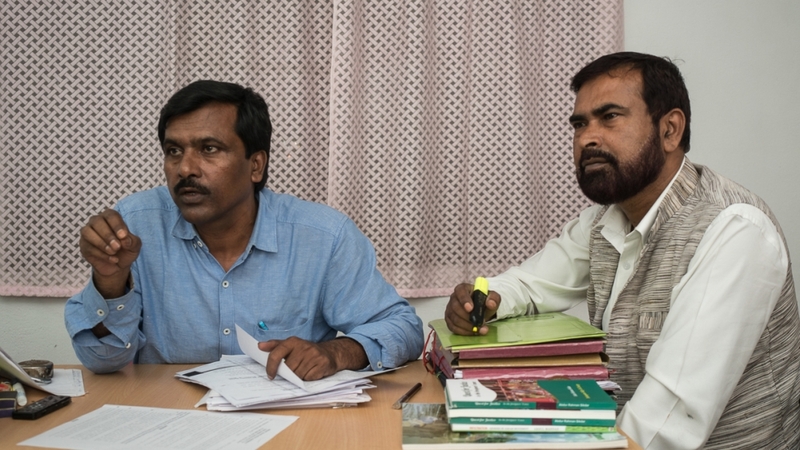 In the absence of school certificates or any other government certificates, they obtained domicile certificates from the panchayat (village council). But initially, the authorities refused to admit the panchayat certificate as a legal document, after which the country’s top court had to intervene. 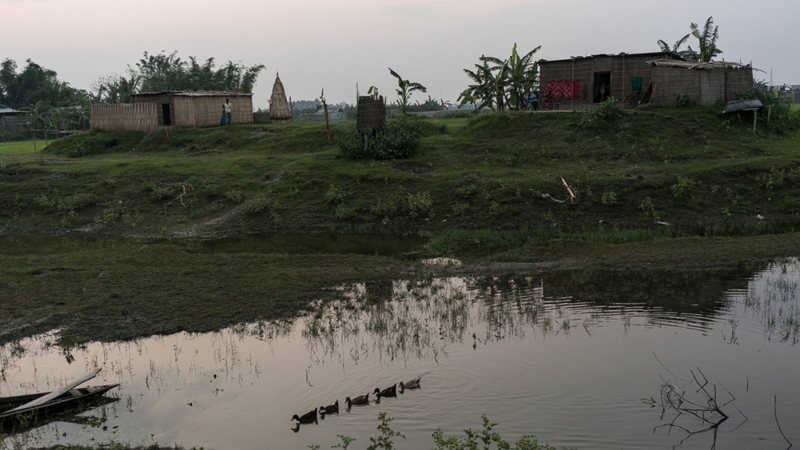 Begum, a resident of Mazidbhita char, a river island in Barpeta district, is nervous because she has heard many stories of people losing their citizenship or sent to detention centres after marked as ‘Doubtful’ or ‘D’ voters. The concept of ‘D’ voters was introduced in 1997 by the election commission of India. Those marked as ‘D’ lose their citizenship rights and are barred from exercising their voting rights until cleared by special courts FT.
“One of my neighbours told me that if you can’t answer properly for three times, at four they strike off your name from the voters list. Is it that easy to strike off a name from voters’ list?” she asked. Sabura Khatun from Fulora Char village in Barpeta district says she also used panchayat certificate for updating her personal details in the NRC. “All those who have submitted panchayat certificates are now being called for verification. I couldn’t eat and sleep well as I was frightened,” Khatun, 25, said. 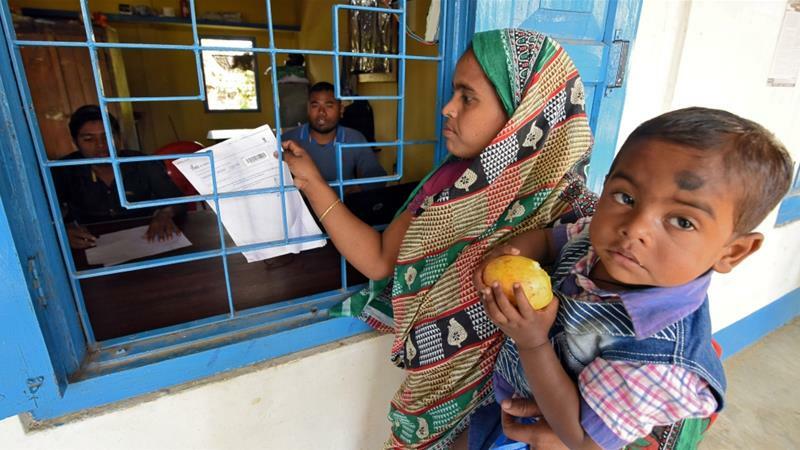 Begum and Khatun are among millions of Bengali origin people who have lined up at thousands of centres across the state as part of the mammoth exercise to determine who is a genuine Indian citizen. Khandakar says officials at district level are asking for additional documents. “Not accepting the legal validity of a panchayat certificate is a clear violation of the Supreme Court guidelines. “The guidelines are being violated in Nagaon and Bongaigaon districts in particular and throughout Assam in general,” he says. 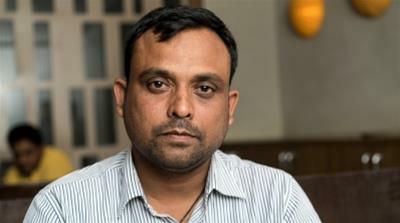 Prateek Hajela, the NRC Coordinator, however, denied the accusations that people were being harassed. The verification process was being carried out “as per the provisions of the judgment of the honourable Supreme Court passed on December 5 last year”, he told Al Jazeera. “We will ensure that the works will be carried out as per the [SC] guidelines. “We have assured them [AAMSU] all the guidelines will be followed by all our officers – both at the senior and lower level,” he said. Along with the domicile certificates, applicants have to also prove that their families lived in Assam prior to March 24, 1971 – the cut-off date to be eligible for Indian citizenship. Migration to Assam by people of Bengali origin, which predates India’s independence in 1947, has dominated the politics of this northeastern border state for decades. The arrival of tens of thousands of Bengali refugees – both Muslims and Hindus – in Assam during the 1971 Bangladesh liberation war brought the issue into national focus. The rhetoric of xenophobia reached its crescendo in the late 1970s and early 1980s, when Bengali origin Muslims were attacked during mass anti-immigrant agitation called the Assam Movement. In the Nellie village of Nagaon district, nearly 2,000 Muslims were massacred at the height of the anti-foreigner agitation in 1983. The widespread violence ended after the government signed the Assam Accord with protesters led by All Assam Students Union (AASU) in 1985. There’s a rare consensus around the NRC process, with almost all political groups, intellectuals and ethnic groups hoping it will settle the contentious citizenship issue. “Whether NRC will bring solutions or not, we do not know yet. It has lots of complexities,” said Akhil Ranjan Dutta, professor of political science at Guwahati University. “But popular perception is this; it will bring a solution at least in terms of detection of foreigners,” Dutta said. Himanta Biswa Sarma, Assam’s finance minister and number two in the state government, believes the NRC will settle the issue of undocumented immigrants. “An updated NRC will help get a sense of how many foreigners Assam has,” he said. “Those whose name won’t appear in the NRC will be foreigners and those whose name will appear won’t be questioned. Nobody can go to their place asking for documents again and again,” he said. The NRC, he added, will end the harassment of normal citizens and “restore the dignity of people”. Detection and deportation of undocumented immigrants who came after 1971 were one of the main provisions of the Assam Accord, but successive governments failed to determine the exact number of foreigners in the state. Politicians have quoted wild figures on the number of actual migrants in Assam without proper sourcing. In 2004, former deputy Home Minister Sri Prakash Jaiswal said in parliament that there were 5 million Bangladeshis in Assam. He later withdrew his statement because he could not back up his claims. Muslims, who form nearly a third of the state’s 32 million population, have often complained of harassment at the hands of police, in many cases genuine Indian citizens have been declared foreigners or ‘D’ voters. As the NRC process winds down, proposed changes to the Citizenship Act 1955, pushed by the central government led by the right-wing Bharatiya Janata Party (BJP) have created a major controversy. The Citizenship (Amendment) Bill 2016, if approved, will allow religious minorities – Hindus, Sikhs, Buddhists, Jains, Parsis and Christians – from Bangladesh, Afghanistan and Pakistan to obtain Indian citizenship. The move by the BJP, which also runs the government in Assam, has riled the indigenous groups in Assam. The AASU, which led the Assam agitation in the 1970s and early 1980s, has protested against the move that will make about 1.5 Bangladeshi Hindus residing in the state eligible to become Indian citizens. The proposal also contradicts the Assam Accord that set March 24, 1971, as the cut-off date. On Monday, several groups, including AASU, organised protests across the state and burned effigies of Prime Minister Narendra Modi and the state Chief Minister Sarbananda Sonowal. Dutta from the Guwahati University says the citizenship amendment bill is against the basic tenets of India’s secular constitution. “The Citizenship Amendment bill will not only create religious tension but also create linguistic tensions,” he said. When British colonial rulers imposed Bengali as the official language of Assam in 1837, it was vehemently opposed. It took nearly four decades for the decision to be reversed. “The BJP’s campaign slogan in 2016 was rights of the indigenous people: jati, mati, bheti (community, land and hearth). They talked about a rainbow coalition of various indigenous communities,” Dutta said. The BJP leaders have publicly called Muslims “Bangladeshi infiltrators”, who should be sent back, while defending the granting of citizenship to Hindu Bangladeshis on the ground that they face persecution. Backing the BJP proposal, Sudip Sharma Chowdhury, the spokesperson of All Assam Bengali Youth Students’ Federation, said India is “the natural homeland for all the Hindus from across the globe”. “We wholeheartedly support the bill and it should be passed at the earliest. If Hindus face persecution in their respective countries, where will they go? Asked Chowdhury, sitting in his office in Guwahati. Top BJP leaders, including finance minister Sarma, have come out in the defence of the bill. “India has a history of taking refugees. Why the 1971 cut-off? he asked. Amid the political uproar over the issue, the state Chief Minister Sonowal said last week that he would resign “if he failed to protect the rights of the citizens of Assam”. “If the interests of the state and its people are not secure, then what is the meaning for me in continuing as the chief minister of the state. That is why we will sincerely work for safeguarding the interests of the people of Assam. This is certain,” he said at a press conference on Saturday. Samujjal Bhattacharyya, the AASU adviser, says his organisation, along with 28 other ethnic bodies, are vehemently opposing the BJP move that seemingly makes a distinction between Hindu and Muslim refugees. “They say that those who have come due to religious persecution should be given Indian citizenship. Is there any report that has been submitted to the government, which says that they are persecuted? The government of India should be very transparent on that part,” said Bhattacharya. “It’s a question of identity. This is our motherland, we must have right to rule over our own people,” he said referring to fears that Assamese language speakers might be outnumbered by the Bengali origin population. The main opposition party in the state, the Congress Party, has also opposed the amendment to the bill. “We do not think foreigners should be defined on the basis of religion,” said Pradyut Bordoloi, vice president of Assam state Congress. 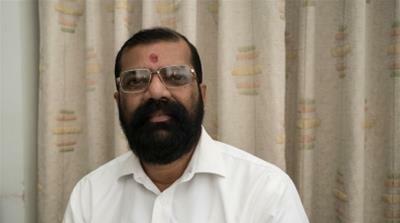 “They [BJP] call the Muslim as foreigners, but for Hindus, the door is wide open. And we are all opposing this kind of blatant sectarian politics,” Bordoloi, a former minister in the state, said.